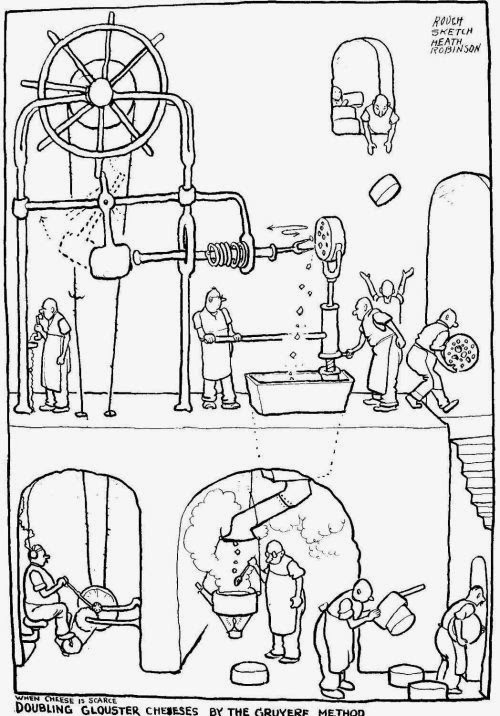 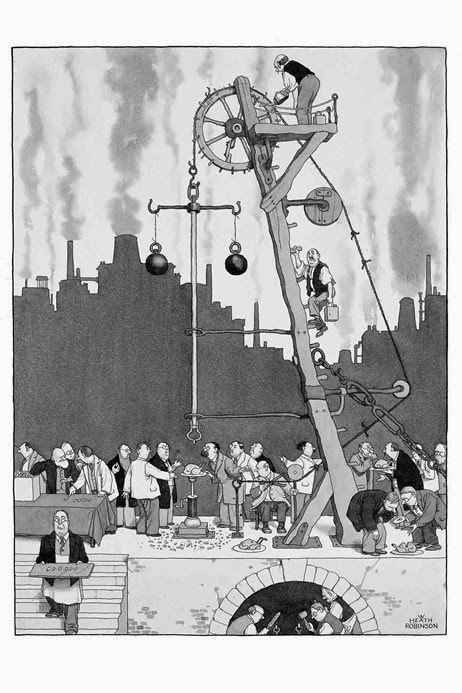 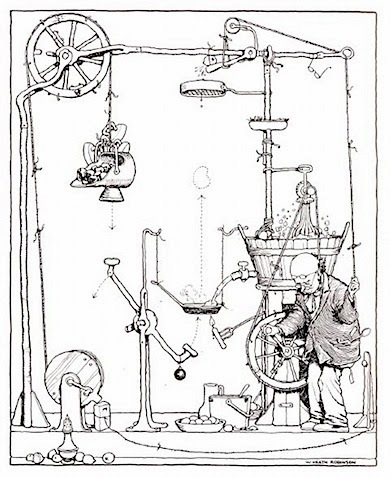 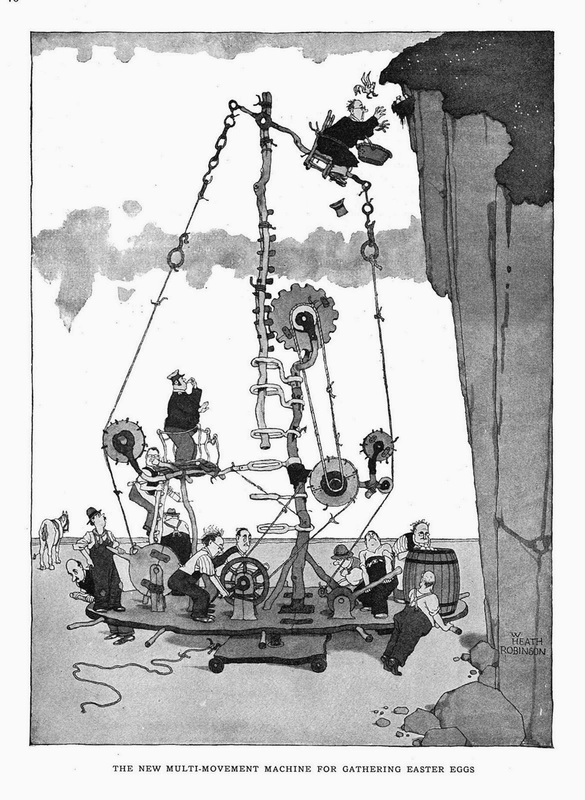 I could not help looking and W Heath Robinson work while thinking of creating my machine. 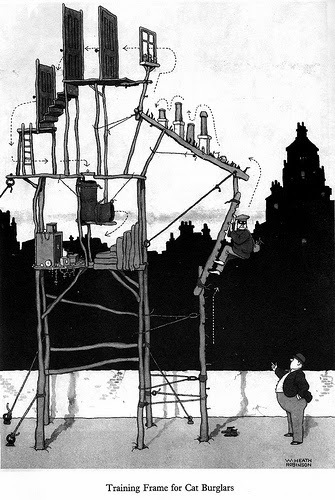 Since Alan reminded me of Robinson my fondness for this work was reestablished. 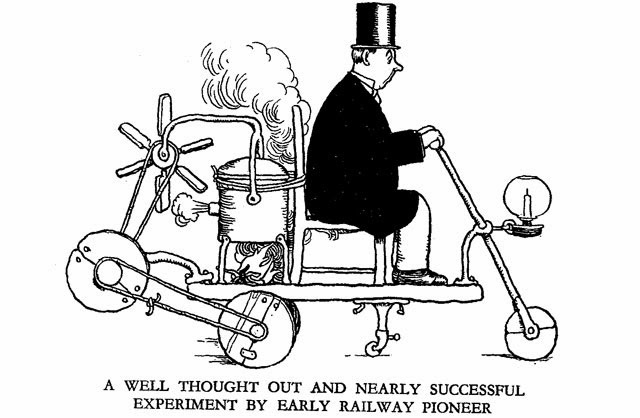 Although my invention will probberly not be as wacky his Robinson's, I thought it would be good to look at this drawings for inspiration on how things can work and interact out side the norm.